Latitude 64° is the geographical location of the residential community Bergsbyn (meaning Mountain Village), outside the coastal city of Skellefteå, near the arctic circle in the north eastern part of Sweden. 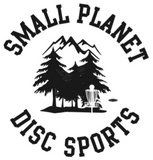 This tiny suburbial community with a population of around 2000 people, have produced 6 players that between them have won 2 Junior World Championships, 4 European Championships, 2 PDGA World’s Double titles and has won the Swedish Disc Golf Tour almost every year between 1995-2005. Bergsbyn also has Swedens largest Disc Golf course – Discgolf Terminalen – featuring 36 holes of world class standard. Two PDGA Majors has been held at this site and more is likely to come. Other cities at Latitude 64° around the world includes Fairbanks in Alaska USA, Arkhangelsk in Russia and Nuuk on Greenland. In the midst of the ”disc golf community” that grows and flourishes in Bergsbyn, a few of the experienced players and devoted enthusiasts had the dream, desire and vision to develop and produce disc golf products that would elevate the sport we all love to new heights in terms of quality and class. The passion for the sport is always in the forefront of everything Latitude 64° manufactures, but also the determination to offer a wide variety of products that will suit all types of players, from the fledgling newbie to the avid professional. The passionate people behind Latitude 64° is Tomas Ekström, Svante Eriksson, David Berglund and Johan Åström.